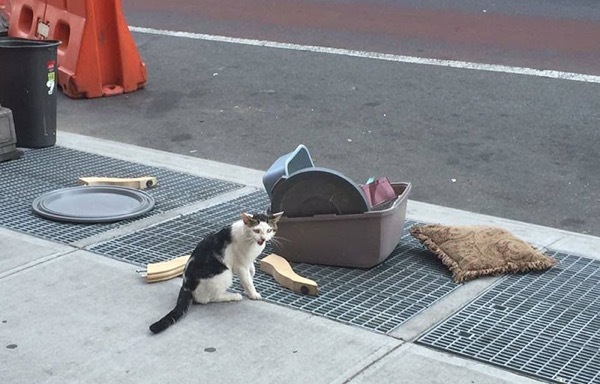 A 1-year-old cat was spotted abandoned on the streets of Brooklyn, NY with all of his belongings. Confused and lonely, he was sitting near the only belongings he had left – a litter box, a cushion, and some other cat supplies. Shortly after he was spotted, the cat, later named Nostrand after the street where he was abandoned, ran off when he was scared away by a street sweeper. The local community joined forces to find him. After a few days of searching, Nostrand was found hiding in a backyard. 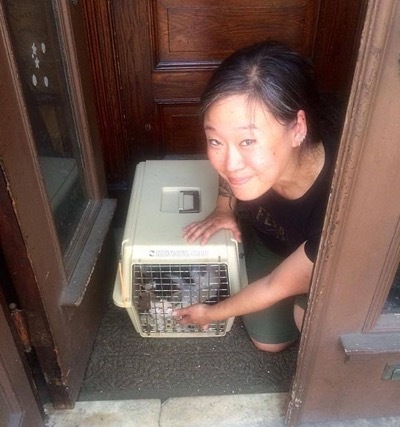 “We immediately brought him to get vetted, and screened for a microchip,” Flatbush Area Team for Cats (FAT Cats) wrote on Facebook. 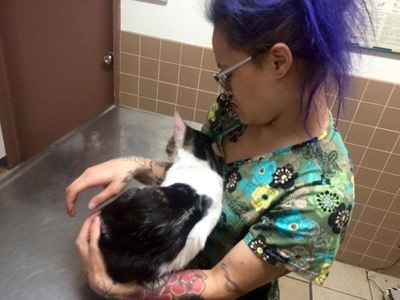 The cat didn’t have a microchip but he was found to be in good health and was a “dream” during the examination. “He didn’t even mind having blood drawn for testing,” said Elizabeth Champ, one of the founders of FAT Cats. Now Nostrand is in safe hands with FAT Cats. After he’s neutered, he’ll be looking for his forever home, which, luckily, shouldn’t be a problem as many people have already requested to adopt him. 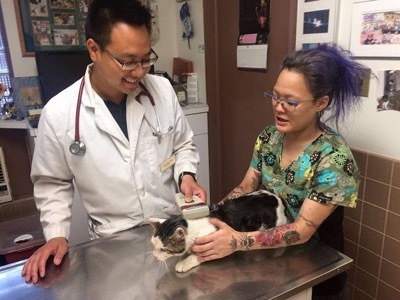 The cat was rushed to the vet straight away. Not only was he healthy, he was also very obedient!